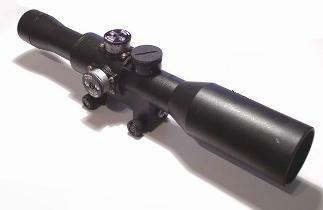 The sniper Rifle Scope POSP 8x42WD has a built-in 1,000 m dual rangefinder for the target 1.5 m (5') and 0.5 m (1'8"). Illumination allows to target quickly and precisely in any light condition. Multi-coated optics gives high image quality. The POSP 8x42WD is for rifles with a standard Weaver or Picatinny base.